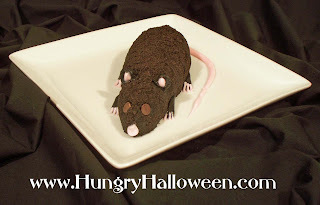 Click here to see the instructions for making this Oreo Cheese Ball Rat. Oh i wish I had seen this on the weekend! My coworker HATES mice and rats but love cakes and I would have loved to have brought this into work.... next year! mwahahahaha!